Transfer of Copyright: The Danger zone! There are some good sites giving advice, however there are twice as many bad sites. Good advice is conservative and protective. Once you assign your copyright (in most cases) it is out of your control. Therefore, there is no substitute for a good attorney if you are considering such an undertaking. With that said, here is some background information about copyright assignment. Let’s get some basic definitions and a foundation for the conversation. 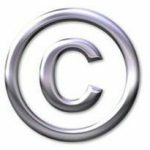 Copyright – A copyright is a claim to “authorship” or “creation.” It is not necessarily a statement of ownership. 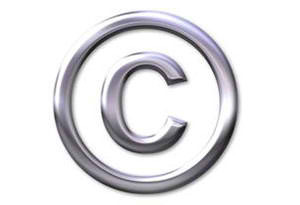 A copyright is considered personal property and is subject to state law. Work for Hire – Work for Hire is a work written for someone else, in the case where the proprietor of the copyright is NOT the author or creator. Option – An option is a “lease” and not a purchase agreement or acquisition. There are different types of options and some include exclusivity. An option is not necessarily a copyright assignment. In this article we are talking about optioning “intellectual property” not directors or cast members. Acquisition – Acquisition generally refers to purchase. A purchase may include a “fragment” of rights, which means the there may be a subdivision of rights and not all rights may be transferred to at acquisition. Basically, the copyright holder owns all of the rights. These rights include, the right to hold, produce, publish, transfer, assign or sell the intellectual property and all works derived from this property. Exclusive would mean that the copyright holder gives up the specific right “only” to the signed recipient. This does not mean that all rights are transferred, but it would include whatever rights are referred to in the agreement. It is considered that a transfer of rights “exclusively” must be in writing, while the non-exclusive transfer of rights may be granted verbally or expressly without writing. What is a copyright transfer? A copyright transfer is when the legal owner of the copyright transfers some or all of the rights to another meaning there is a conveyance of law in the title to the intellectual property. This can be done through operation of law (agreement) or bequeathed by will or as intestate personal property. The Copyright Office does not require a formal filing of the agreement, however, a copyright can be rerecorded after the transfer of the rights. Thusly, there is a new copyright owner. The 50 million dollar question; where are the dangers? In a nutshell, once a right is transferred it is duly transferred except under certain circumstances, which is the case with most legal agreements. A “Quit Claim” is a final termination to all rights signed by the owner of the copyright who releases all claims and rights to the intellectual property. Does there have to be an exchange of money? Does a copyright have value? Can I get my rights back? How does a promise of payment in the future affect the transfer? Are there expiration dates on agreements? Regarding the value of a work of intellectual property, this is a complicated issue. Until someone places a value or valuation upon a property, it has no value. Two people can exchange value by agreement. The value can be a future promise to pay (with or without exclusivity, with or without a specific number) a payment of any amount even a dollar or an imposed value by the terms of the agreement to option, sell or transfer. For instance if a studio agrees to pay $100,000 for an option, the value of that option is between two independent parties and not necessarily an option on the free market. If the studio, dumps the project after say the agreed term of one year and returns it back to the original copyright owner, and the copyright owner attempts to resell or option and the new studio agrees to pay $1,000, realistically that is the value. You can see certain aspects that you as copyright owner, must pay attention to in order to protect your asset. Regarding screenwriting, there was a day when certain studios optioned properties, cheap in order that they could control the market and control what literature made it to screen. Generally, once you assign the copyright and the new owner begins to fulfill the contract, you cannot get your work back even if you have no expiration date. You may option a script for an exact time period, or you may option a script for certain performance instead of an exact period of time. It is important to understand that with contracts time can be measured in different ways not only by the calendar. So can you get your copyright back? Essentially no and this is true especially if you have signed a Quit Claim Agreement. You would have to prove you were tortured or somehow forced fraudulently to sign the agreement. Many copyrights, patents, and trademarks are transferred with a third-part clause or contract on a promise to pay. Such as, when the book sells you will get fifty-percent of the profit. What if the book doesn’t sell? If there is a clause called “Turnaround” you might have a chance to get the copyright back. If you do not get paid, then you would have to go to civil court and sue the new copyright owner. 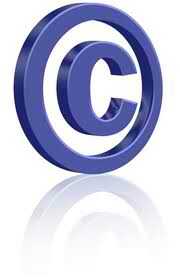 When a literary work is transferred by copyright assignment, there are usually several contracts. Some of these agreements might be titled, Submission Release, Screenwriter’s Agreement, Option to Purchase, Option to Produce, Option to Publish, Copyright Assignment, Literary Purchase Agreement, Quitclaim Agreement and/or Turnaround Agreement. Many agreements are guided by dates for contract expiration, others are for perpetuity and there are other contracts based on performance with no dates. This is why you need an attorney to review what you are signing. Understanding all the above mentioned definitions and issues is going to help you determine what you want to do in business with your property and help your attorney delineate what you don’t NOT want to do! One more important note for music producers, film producers! There is a second type of copyright that protects the digital synch rights. AND there is a third type of copyright that protects you in the event you are entering into production and you feel that your copyright may be threatened; this copyright protects your from injunction or someone filing in a court to preven you from producing. © 2011, admin. All rights reserved. « Production: What Can Go Wrong?